^ Todd Pittinsky. "Allophilia—a new framework for understanding effective intergroup leadership". ^ "Positive prejudice: Really loving your neighbour". ^ Ashley Pettus (January 2006). "Otherly Love: The Law of Dissimilars". ^ Sheema Khan (28 February 2013). 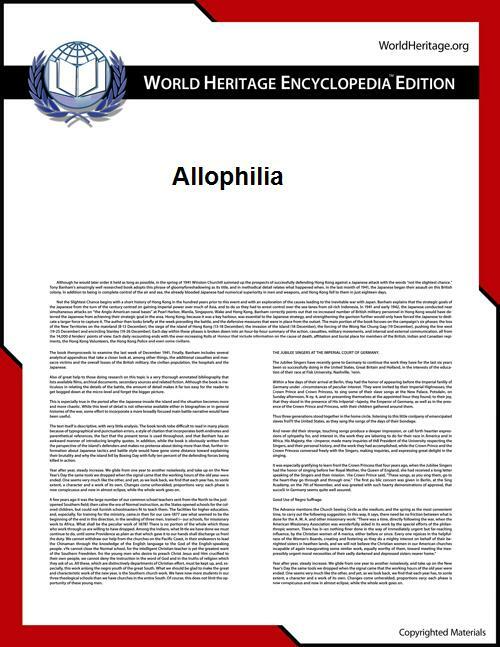 "Allophilia: Beyond tolerance lies true respect".